As of this morning, you can now find Kinderhook Snacks at The Wine Source in Hampden and Atwater's cafes in Catonsville and Falls Rd! We have a variety of crackers at each location, including our Baked Cheddar Cheese Stamps, Parmesan Bacon Crackers, Honey Graham Crackers and Caramelized Shallot Spelt Crackers. The Wine Source will also be carrying all three varieties of our candied nuts! 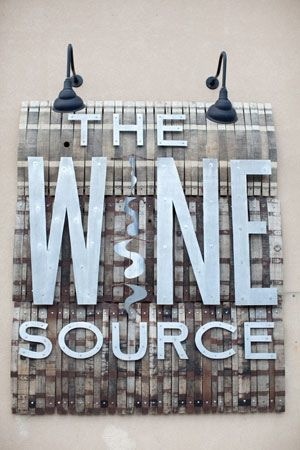 The Wine Source is located at 3601 Elm Ave, just a block off of The Avenue in the Hampden neighborhood of Baltimore. Not only do they have a truly amazing wine selection, but they are also staffed with incredibly friendly and knowledgeable people. The Wine Source also maintains a more-than-complete beer and liquor section, as well as cigars, meats, cheeses, coffee, fresh bread, chocolates, and snacks, of course! Atwater's will be carrying our complete cracker selection at their Falls Rd location (1407 Clarkview Rd) and their Catonsville location (815 Frederick Rd). If you haven't already experienced the greatness of Atwater's bread, you should absolutely get out there ASAP. They have a delicious breakfast and lunch menu featuring fresh + local produce, meat and cheeses. Sandwiches, soups and salads galore! And you just have to take bread home with you - our favorite is their crusty olive loaf! Stay tuned for Superbowl Snack Packs and super special Valentine's snacks!